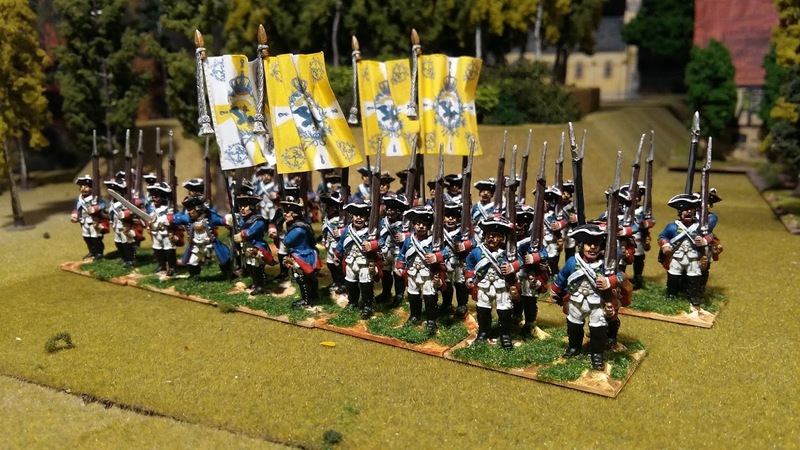 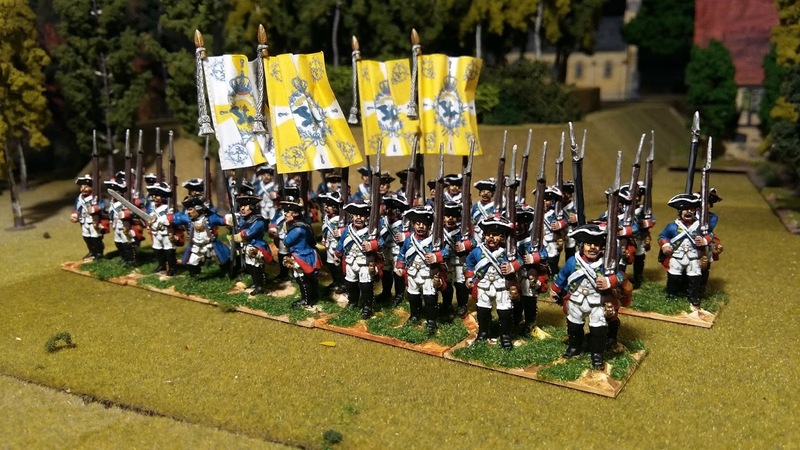 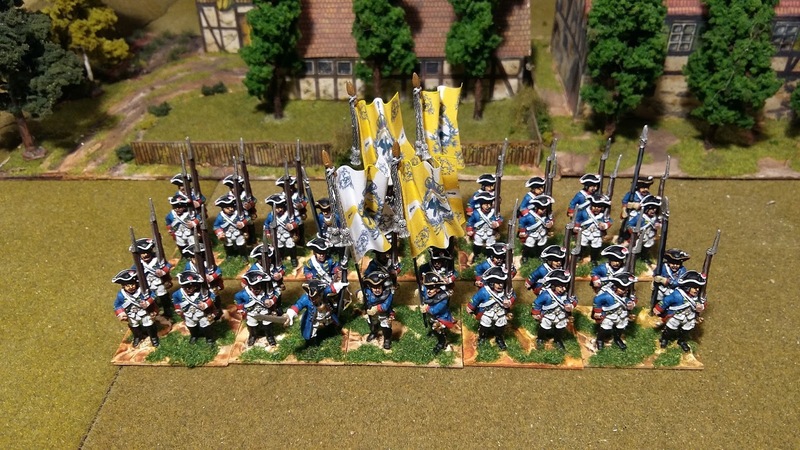 A very fine Prussian regiment raised in 1714. 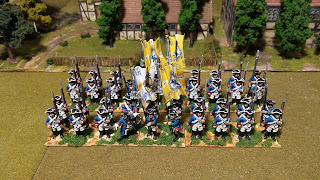 As Kronoskaf puts it "The regiment was considered as one of the best units during the war.."
Figures are mostly from Crusader. 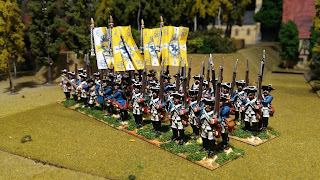 Again a wonderfully painted regiment, like the precursors! I like the sunshine on their hats and the dark shadows - great!